was published by Frederic C. Beil on November 10, 2011. The historian Jacques Barzun was born on November 30, 1907, in Créteil, France, a suburb of Paris. His father was the poet Henri Martin-Barzun (1881–1972), a member of the l’Abbaye group of artists. Mr. Barzun attended Columbia College (A.B. 1927) and University (Ph.D 1932), taught in the Columbia history department, served as Provost, and retired as University Professor in 1975. For the next 18 years he was literary adviser to Charles Scribner’s Sons. Among the many books Mr. Barzun wrote are: Race: A Study in Superstition, Of Human Freedom; Darwin, Marx, Wagner; Romanticism and the Modern Ego, Teacher in America, Berlioz and the Romantic Century, The Energies of Art, Music in American Life, The Modern Researcher (with Henry F. Graff), God’s Country and Mine, A Catalogue of Crime (with Wendell Hertig Taylor), The House of Intellect, Science: The Glorious Entertainment, The American University, Clio and the Doctors, Simple and Direct, A Stroll with William James, An Essay of French Verse for Readers of English Poetry, From Dawn to Decadence, and Sidelights on Opera at Glimmerglass. 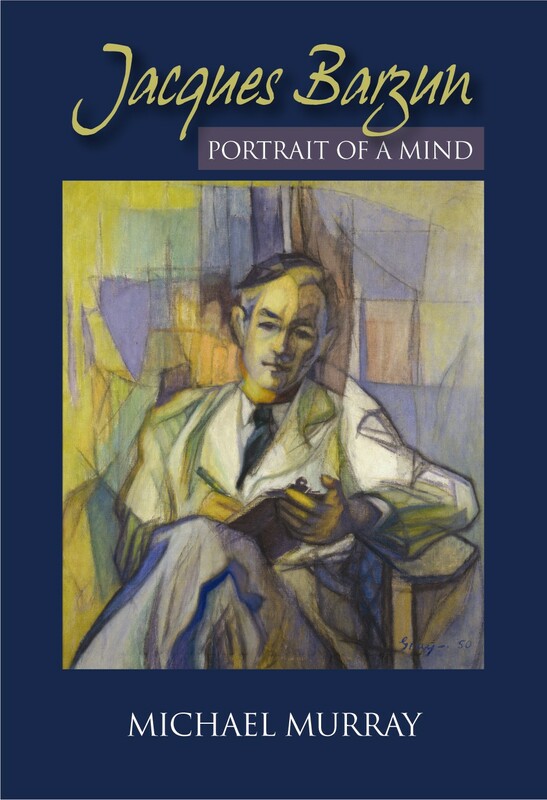 A Jacques Barzun Reader and other collections by various editors contain selections from Mr. Barzun’s writings. Mr. Barzun was president of The Berlioz Society, honorary chairman of the American Academy for Liberal Education, and was on the advisory boards of The Bernard Shaw Society and the National Association of Scholars. He was a member of the American Historical Association, the American Academy and Institute of Arts and Letters (twice president), and the Royal Society of Arts. From 1946 to 1976, he was on the editorial board of The American Scholar . He was awarded the Chevalier de la Légion d’Honneur, the Presidential Medal of Freedom, and the National Humanities Medal. In 1956 he was on the Time Magazine cover for the article “Parnassus, Coast to Coast”. The Jacques Barzun Prize in Cultural History is awarded by the American Philosophical Society. The Jacques Barzun Award for Distinguished Contributions to Trans-Cultural Scholarly Exchange is awarded by the Jérôme Lohez Foundation. In 2007, the Society of Columbia Graduates awarded Jacques Barzun its Great Teacher Award and produced the video Jacques Barzun, narrated by Henry F. Graff. See also Thomas Vinciguerra, Jacques Barzun; a short bio, Jacques Barzun; a blog, Barzun 100; and especially, a video of Barzun himself. For recent interviews of Jacques Barzun, see the video A Conversation with Jacques Barzun (2010), and read and hear Old New York Stories (2009). For bibliography and insight, consult John Adams' gentle rereader. Jacques Barzun died in San Antonio on October 25, 2012.